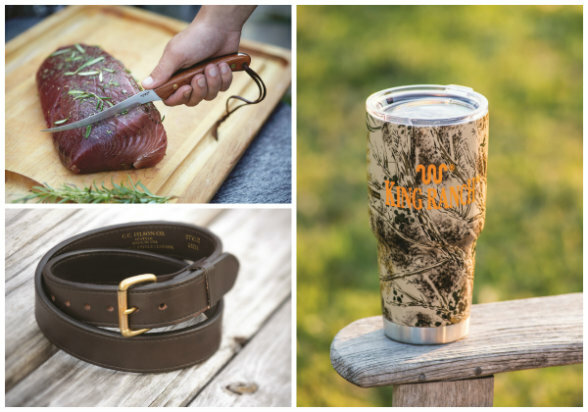 Great rides, great threads, great gear — The Magazine of the American Landowner gives you the lowdown on the new and improved as well as the tried and true. Mike Patten and daughter Emily kick back in the shade of a sublime Airstream (pictured above). Think glamping in a Benz. 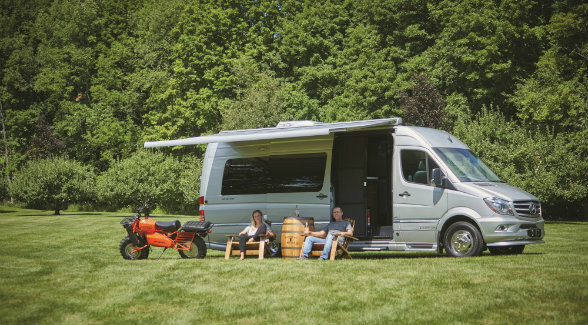 This VIP coach rides on a heavy-duty, clean-diesel Sprinter platform and boasts great fuel economy and driving range. Our favorite features? For her: adjustable LED interior lighting, drawer microwave, and the Kenwood multimedia system. For him: car-like handling, rear backup camera, and the hidden trailer hitch. 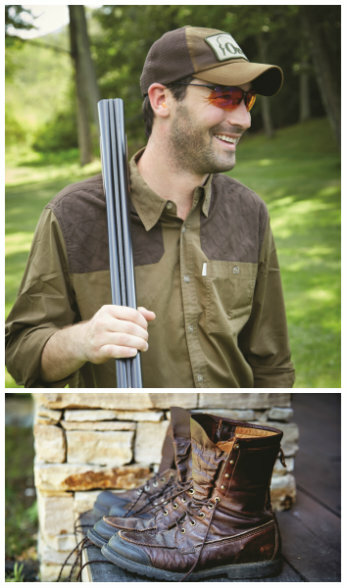 Charley Perkins just might know a thing or two about wingshooting. For the last 50 years, his family has shepherded Orvis, a signature brand of the American outdoors. That’s one of the many reasons he looks so at home in this great gear. All items available at www.orvis.com. Get to Your Happy Place Fast! We were wowed: The newest Honda side-by-side is as much fun fully loaded as it is driving solo. It features industry-leading power with sport and turf modes, 2WD, 4WD high and low, locking and limited-slip differentials, and manual paddle shifters. Engineered for utility, it can haul 1,000 and tow 2,000 pounds, with deepwater fording ability. The back features QuickFlip convertible seats. No tools are needed to convert for cargo carrying; a dump-bed lever is easily accessible from the outside or the front seat. Standard LEDs on Deluxe model, plus All-Weather, Trail, Hunting, Work, Protection, and Custom packages, and 70 individual accessories like roofs and tops, windshields and doors, winches, snow plows, and heater. Go rogue! 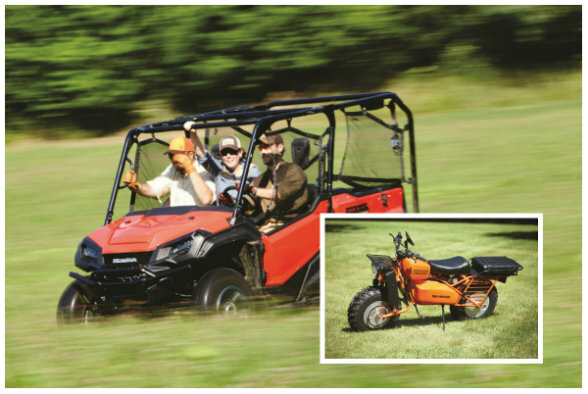 Engineered for go-anywhere wheelin’ with big tractor tires that leave an eco-friendly footprint, this Rokon is powered by a single-cylinder, four-stroke engine with 7 horsepower. Don’t let its size fool you; full-time front- and rear-wheel drive meld with stump-pulling torque to let you tow up to 2,000 pounds and climb a 60 percent grade. 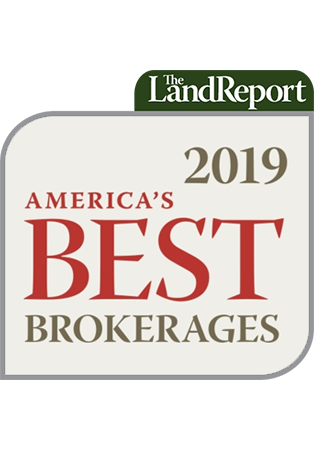 Vetted by the U.S. armed forces, Forest Service rangers, and fish and game personnel, it’s perfect for landowners who work in smooth terrain or on mud, snow, or sand. Available accessories include tow bars, saddle bags, log skidders, and side cars. This beaut comes sized XL to XXL with massive torque under its belly and an aluminum alloy body that’s even more ding and dent resistant. Stephen Hawking would be enamored with the Super Duty’s data bank of information on performance. How about individualized stats for up to 10 trailers at your fingertips? 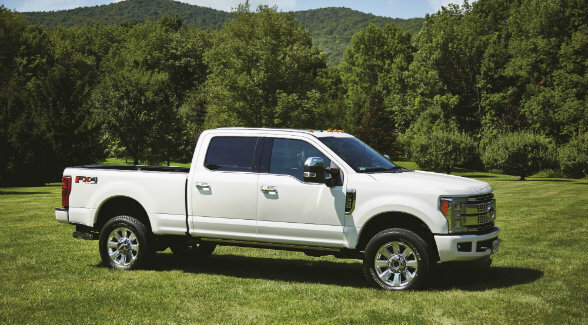 Bigger cabins and beds plus creature comforts and creatively crafted stowage make the Super Duty a lockbox for laptops, guns, and gear. The Kobe beef? Seven cameras ensure hooking up with a gooseneck or your fifth wheel. Trailer reverse, jackknife warning, and straight line backup dial in expertise with a Game Boy-like wheeled icon. Forget about writing your life story. 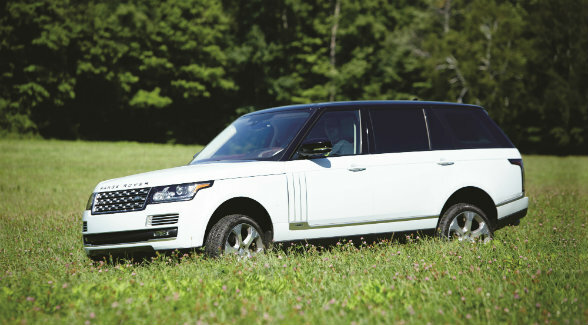 Get an SVAutobiography instead. Posh innards, supercharged power, and Star Wars tech keep you and your passengers entertained, connected, and coddled in a cabin beset with high-grade hides, mohair carpet, deployable tables, and a “chiller compartment” for the bubbly. This 4WD SUV, with impeccably poised motoring manners, whisks along roadways like a Boeing Dreamliner. Enjoy panoramic vistas or scoot the full-length power blind for shade. Looking to add your own touches? A cadre of sophisticated as well as practical accessories lets you personalize the inner sanctuary for tougher forays or beguiling getaways. This limited-edition fillet knife features a Hawaiian mesquite wood handle and a full tang blade, and is finished with brass Corby screws. Not many go-cups make a statement. This standout from the King Ranch Saddle Shop does! Sourced from North American hides and tanned in the States, this durable belt is more likely to be outgrown than to wear out. Anton Cergol hand forges tools at his Milwaukee ironworks, including this rugged hatchet with a genuine American hickory handle. We nabbed ours at the Filson shop in Dallas. You can pick up Lodge Cast Iron cookware just about everywhere. Odds are it won’t look as good as these skillets, which see plenty of action courtesy of the Fire Roasted Catering team. 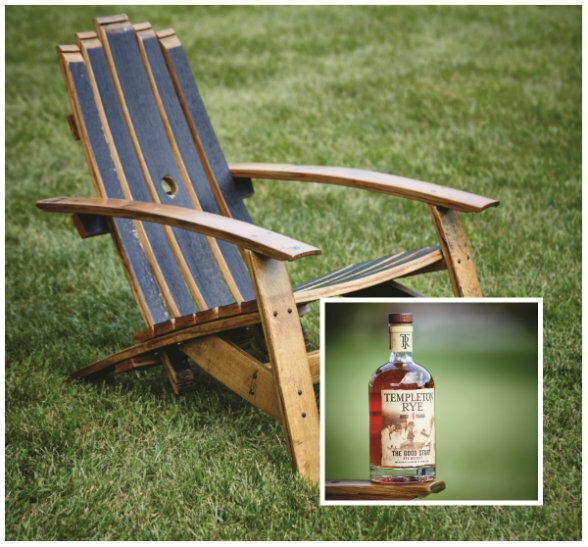 Take the classic Adirondack chair. Add whiskey. Or to be more precise, Templeton Rye Whiskey barrel staves. Sit back. Sip. Reload.